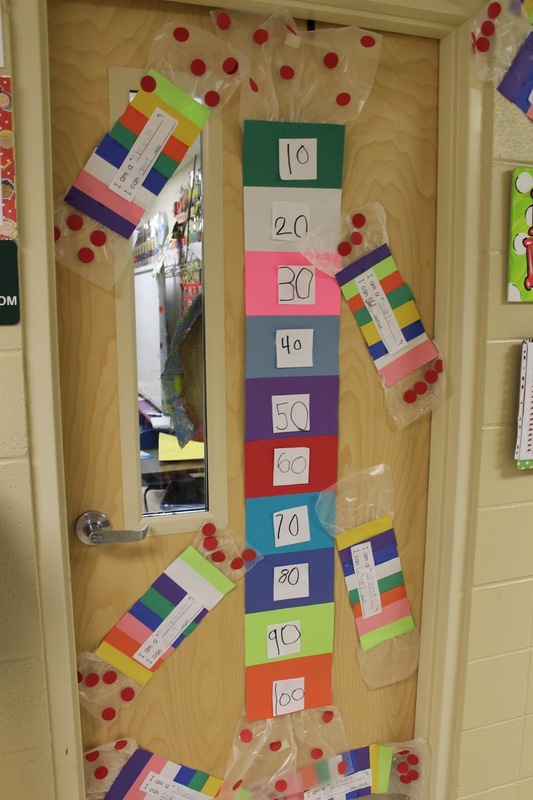 Mrs. Lee's Kindergarten: 100th day fun and a NEW 100th day CRAFT! 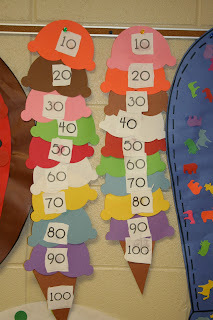 100th day fun and a NEW 100th day CRAFT! Here are some pictures of our 100th day fun! And, we didn't get as much done as usual b/c we had a snow day that week! 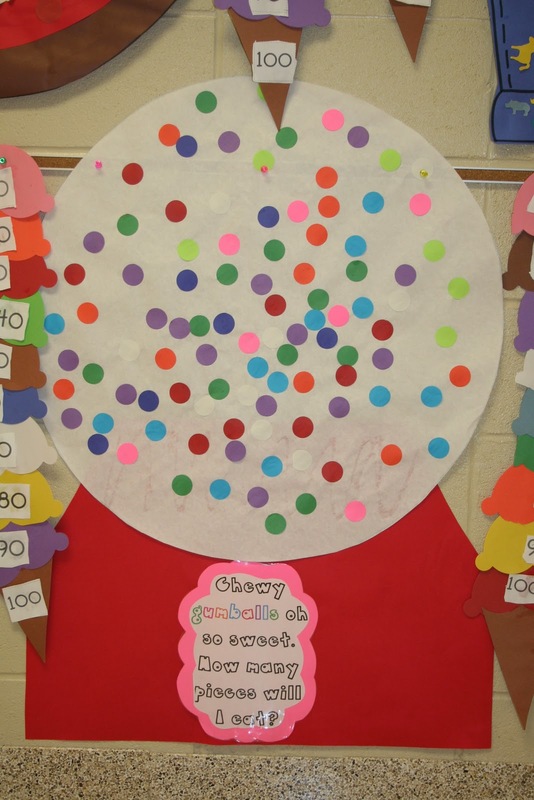 And, the cutest idea from Cara Carroll…a giant chocolate chip cookie with 100 chocolate chips! The end products…You can find the Chocolate Chip Cookie idea HERE in Cara's packet. LOVE! I let some students write a number on a small piece of paper then their partner glued it to the big colored rectangle. Next, we gathered at the run to put them in order from 10-100 counting by 10's. This was super quick! Later, we made these little "smartie candies" and wrote about what makes us feel smart! Um, probably one of the cutest things we've done!! I LOVE the way they look hanging on our door and in our hallway! So bright and cheery! I have added this craft to my 100th day pack that you can find HERE. If you own it, you can re-download to find the craft. Thank you, Julie! I am thrilled that I won your weather packet. My kiddos will enjoy all the activities and I will love the fact that they are having fun while learning. 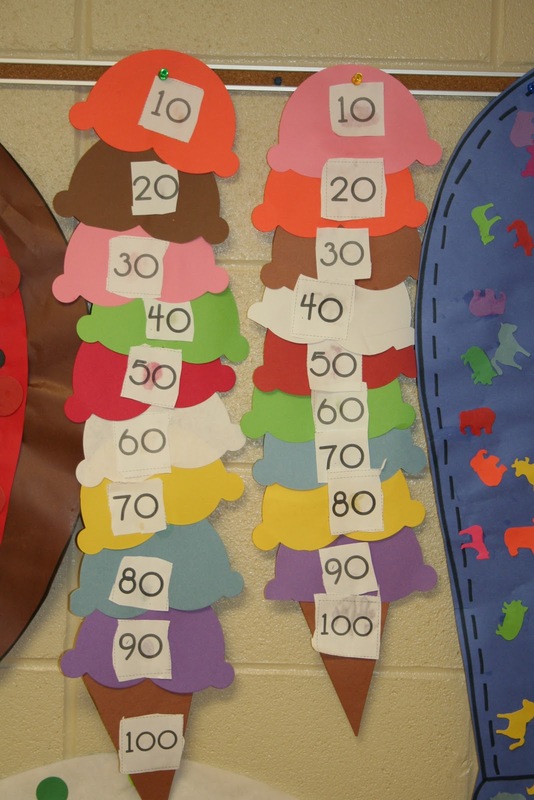 I LOVE your 100th day Ideas. Ours is the day after we get back from Spring break, on the 25th! There are so many good ideas out there it's going to be SO hard to pick the ones my first graders will have the most fun with. Aw Julie, I am excited for you in your upcoming presentation! You will do great! I wish I lived in the states so that I could drop everything and go see you and meet you! You are so talented!